Josefina and I were ready as we could be…honestly over my holidays I haven’t been running as much as I should have been. I’ve been doing more hiking…but probably need to add a few more training runs into my routine. 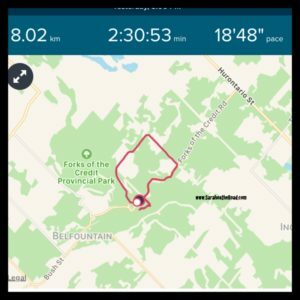 One thing I did learn which isn’t something that new… that I don’t like the heat…and really don’t like running in the heat any better! 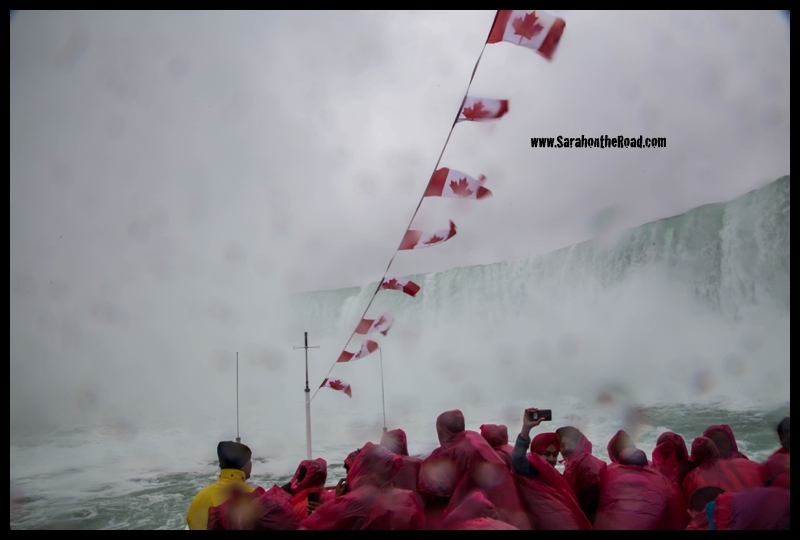 I’m excited that next month’s race in July… will be a wet one…with water and foam on the course for the Foam Fest Toronto! 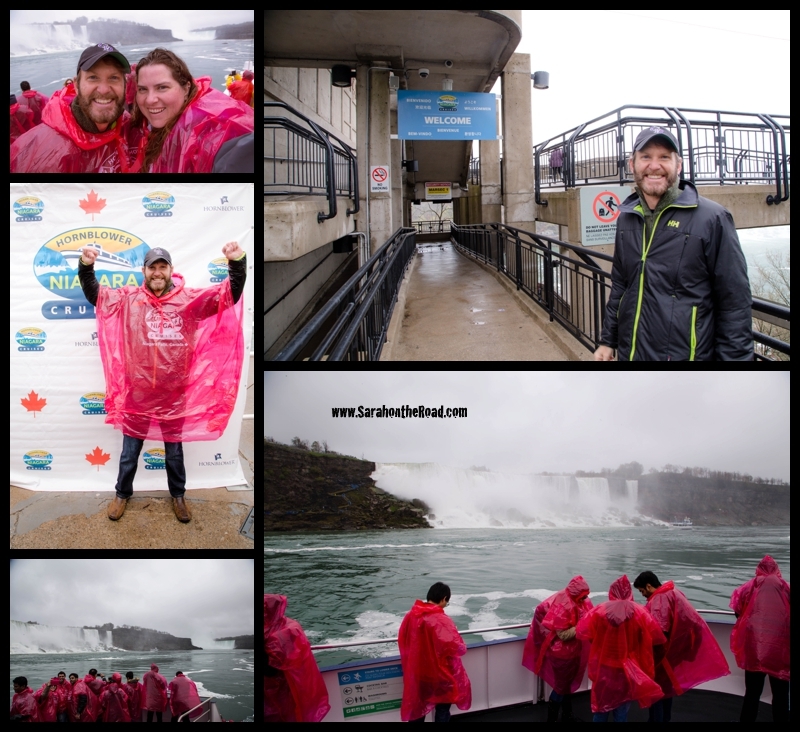 Again so glad we are doing this together Josefina…we are 1/2 way through the year…6 races done 7 to go! Let’s finish this year strong. 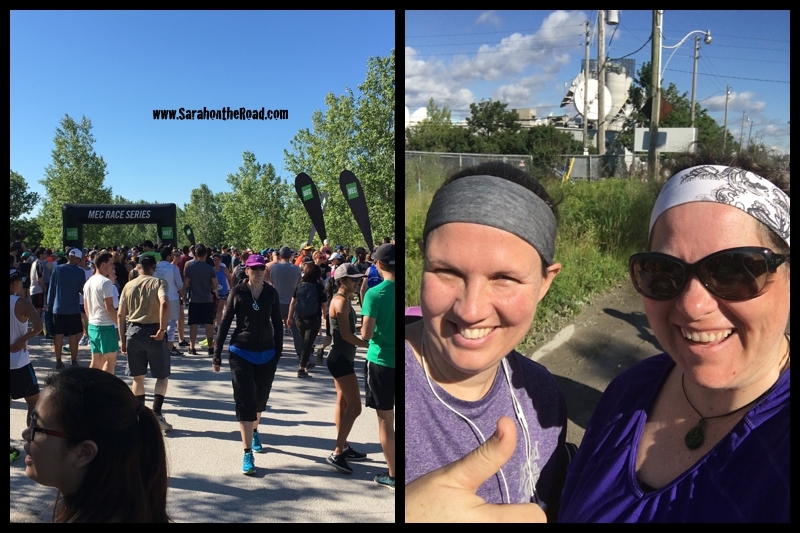 This entry was posted in Life in Ontario, Running 101 on June 25, 2017 by Sarah on the Road. 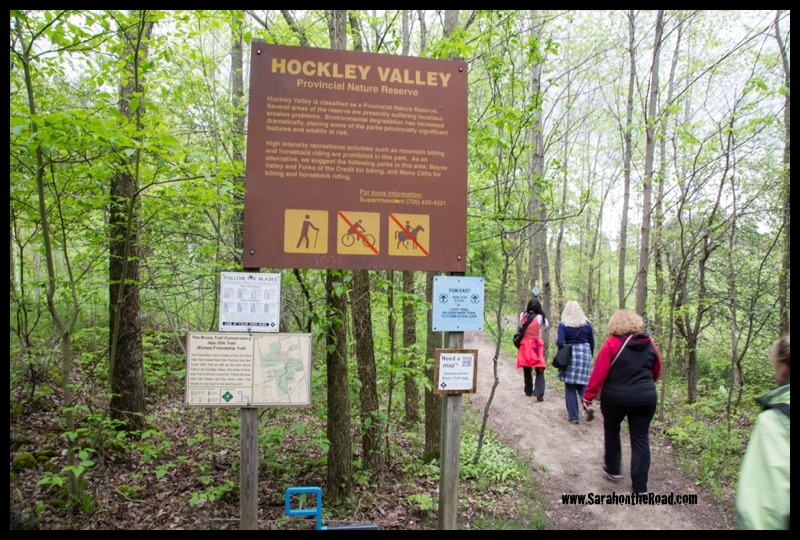 Last week our ‘Take a Hike Group’ tackled the first hike and this week’s hike was in the Hockley Valley. 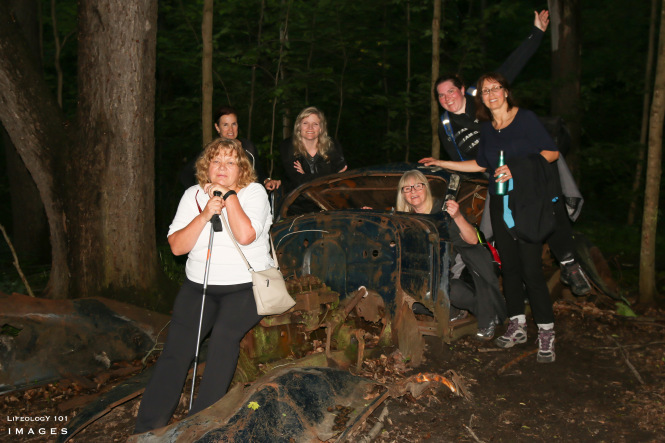 Last night our group of 12 started and finished Hike #2. 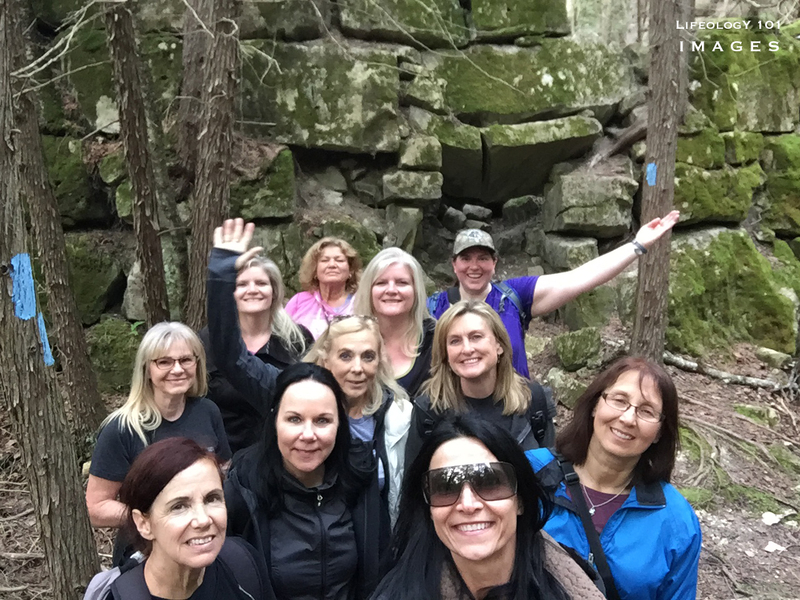 It was a fun hike, even though it was longer than we all expected…thank goodness for snacks that I brought along and was able to share! 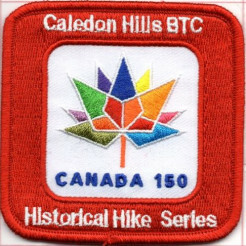 If you are looking for details of the hike…here is the instructions (more can be found on the Caledon Hills Bruce Trail Club’s Website). Park: In the parking lot on Hockley Road, just east of 2nd Line EHS. The funny thing about this hike was we kept looking for the “Jeju Olle Trail Marker” the whole time we were hiking…and NEVER saw it. 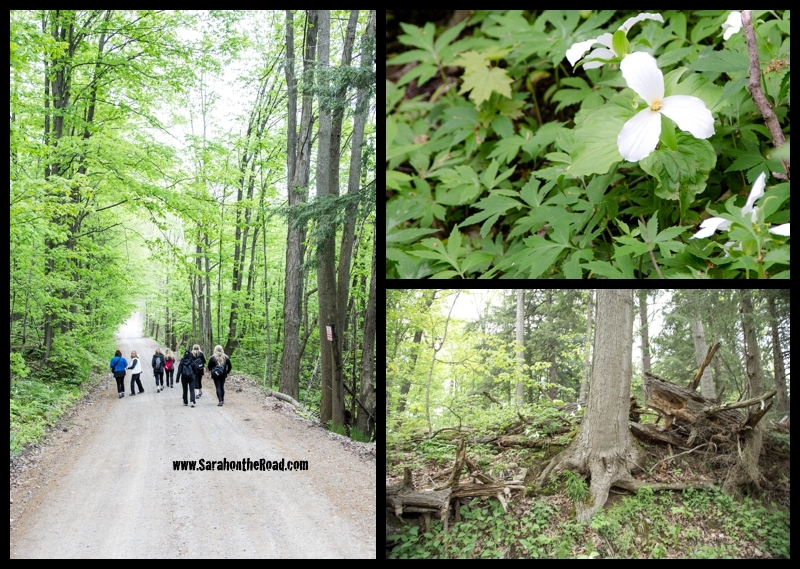 After all the rain we have been having it was a nice GREEN hike… so nice to see the flowers starting to pop up along the trail. We had a few ladders to climb up and over the fences. Usually a rule of thumb when hiking is not to touch nature when you don’t know what the little creatures are… turned out this little orange fellow would have caused problems for anyone picking it up! 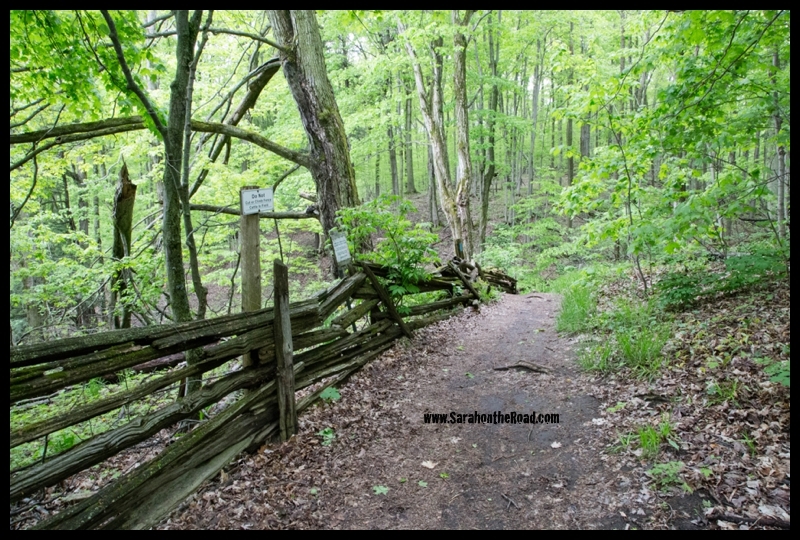 The one thing I’ve come to love about hiking on the Bruce Trails is all the signage and maps along routes! What an awesome place to hike with the trail marked so clearly. …starting to get dark but this hike isn’t finished yet! 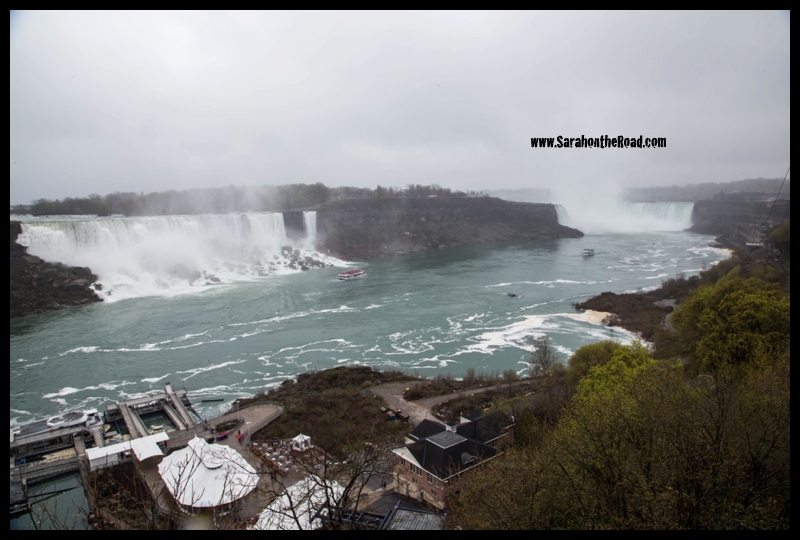 The rivers or probably more like creeks in the summer months were full of water… we have gotten so much water later! 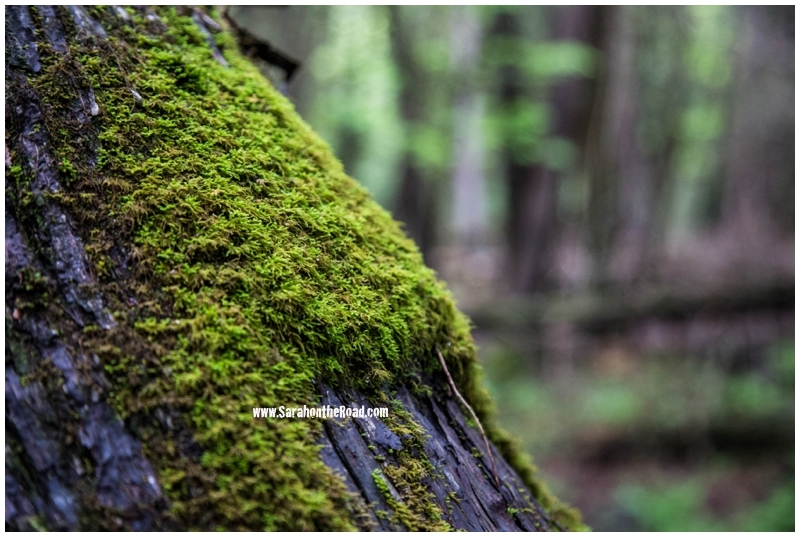 Love me some moss on a tree. 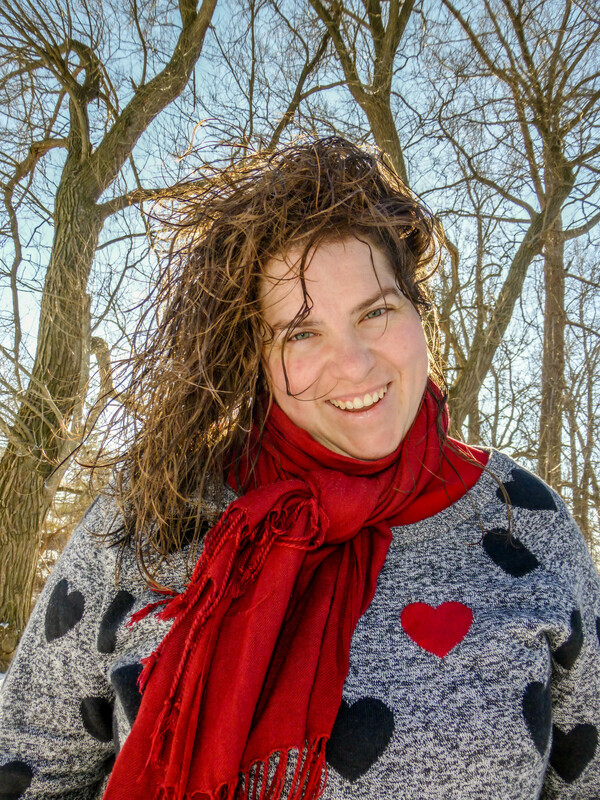 …this random photo below was a happy surprise when I edited my photos from my camera. Mira was getting everyone lined up at the William Thomas Allen’s bench for our required photo! Some more historical info about this spot on the trail. Walking along this path, and sitting for a moment on the bench really made me think about the farmers that worked to clear this land and farm it. What a hard go they must have had to make a life…but with views like this it was sure to be rewarding! 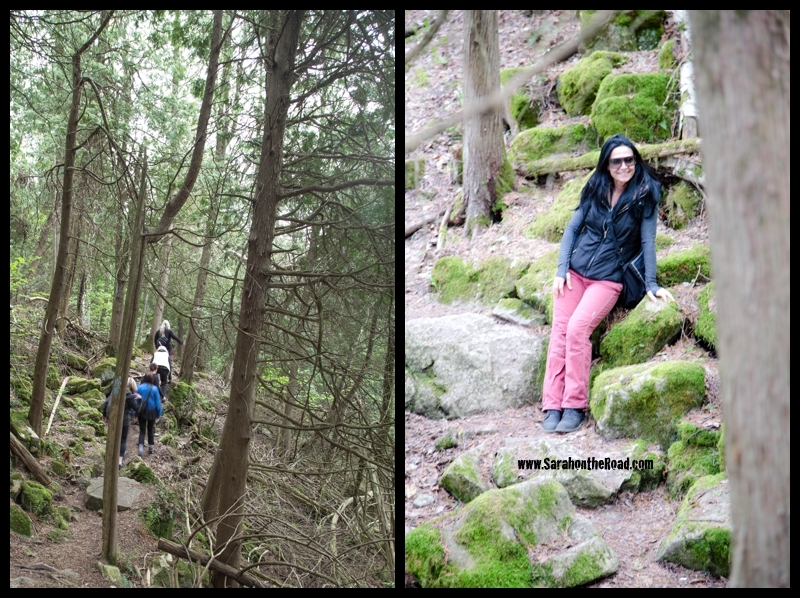 We were so excited to finish this 14 km hike… instead of taking 2 hours…it was more just over 4 hours! However, I wouldn’t have wanted to hike with anyone else but my “Take A Hike” friends. 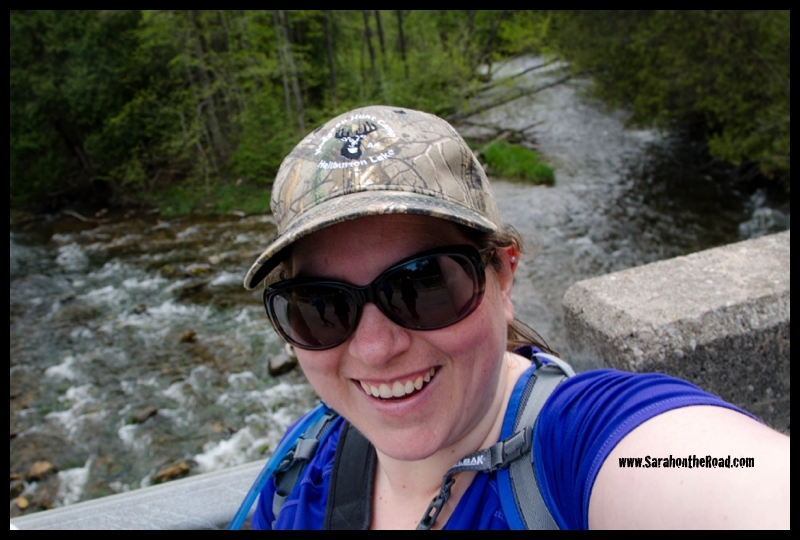 Hike #3 & #4 happen when I’m on holidays in Newfoundland…so will have to do those ones solo away from the Take A Hike group…but with other friends! 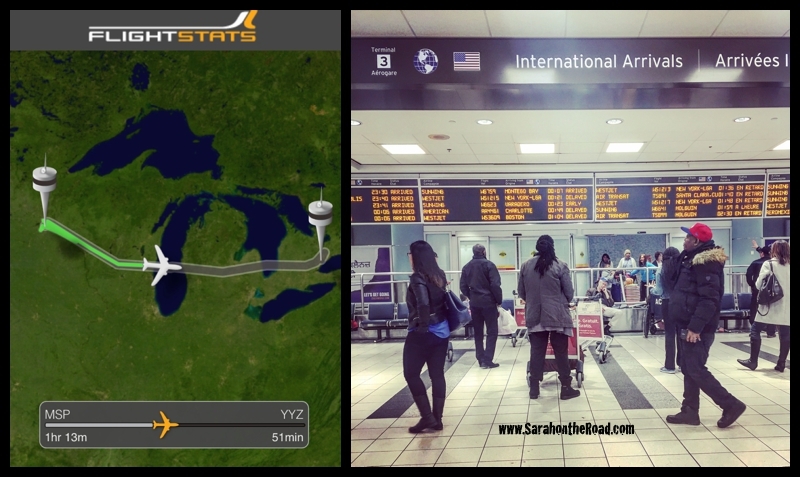 This entry was posted in Life in Ontario, Walk in the 'hood on May 27, 2017 by Sarah on the Road. 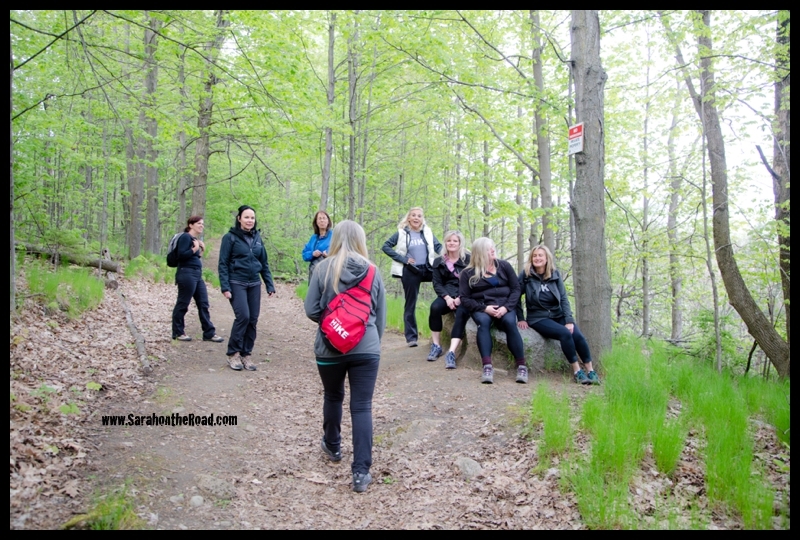 If you are looking for details of the hike…here is the instructions (more can be found on the Caledon Hills Bruce Trail Club’s Website (link above). 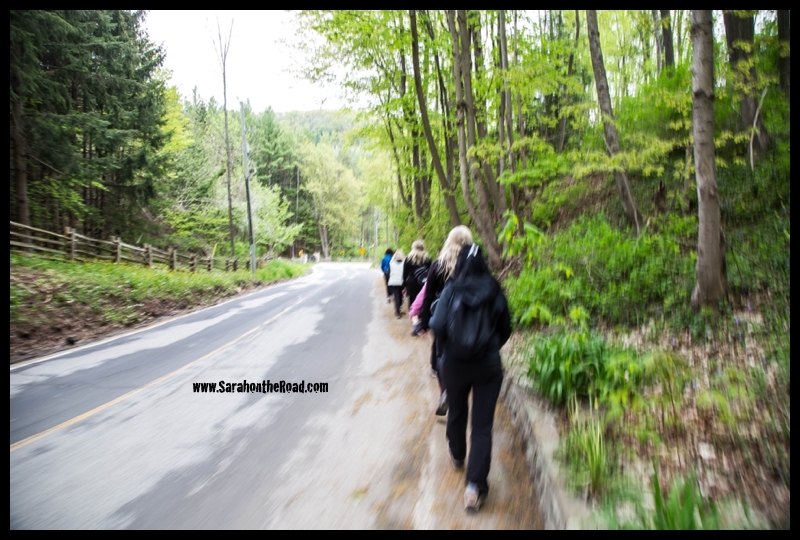 • Follow the main Trail back to the roadside parking along Forks of the Credit Rd. 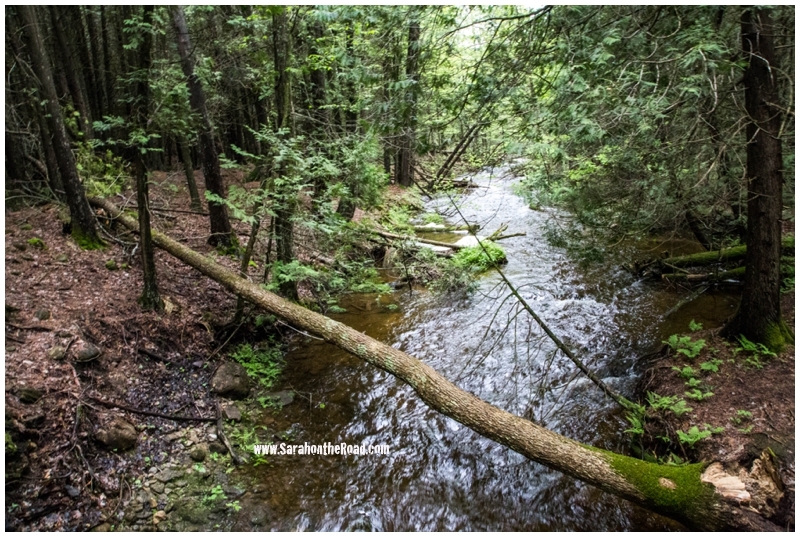 • Optional: If you are interested, check out the Ring Kiln Side Trail before heading back to your car (km 8.2). It honestly was so much fun to head out and go for a hike. 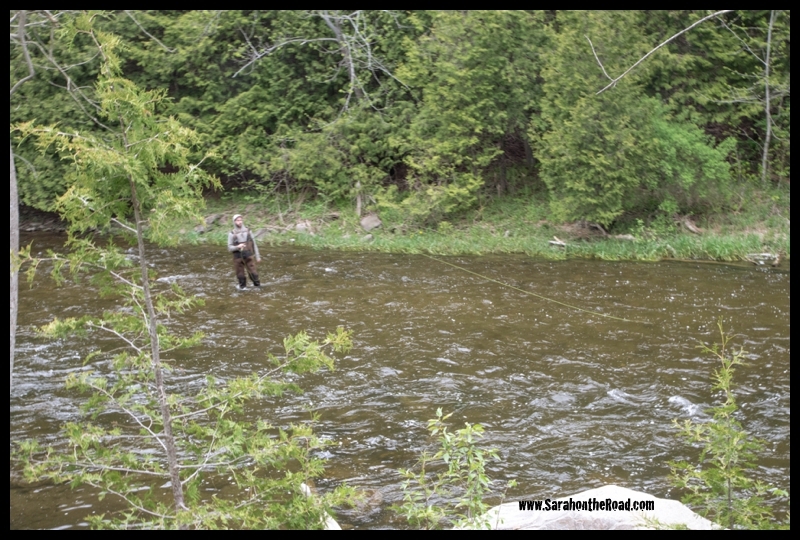 I’ve been on holidays since the beginning of the month and it was fun to go and explore a new part of Ontario that I haven’t spent much time in. I can’t wait to go back and explore some more of this area. Our first group photo at the Dominion St. bridge! 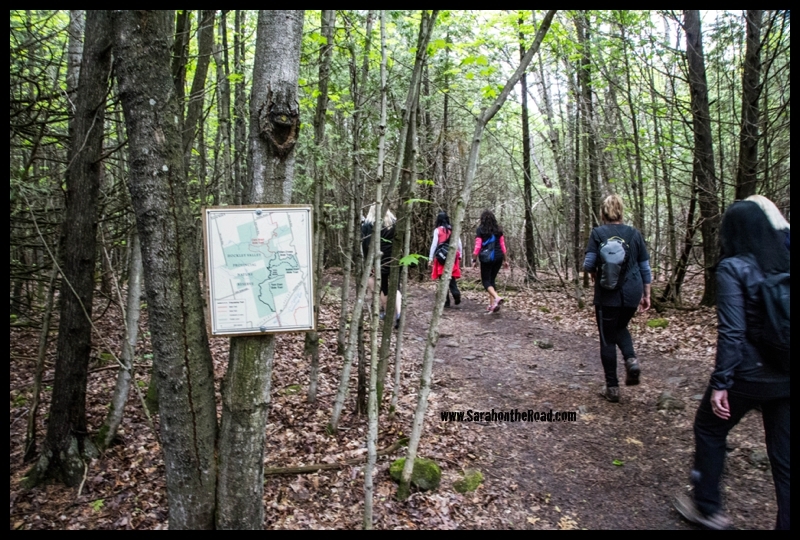 Stops along the trail…are always welcome after a hill climb! It was so lovely to talk and get to know some of the other ladies in the group. 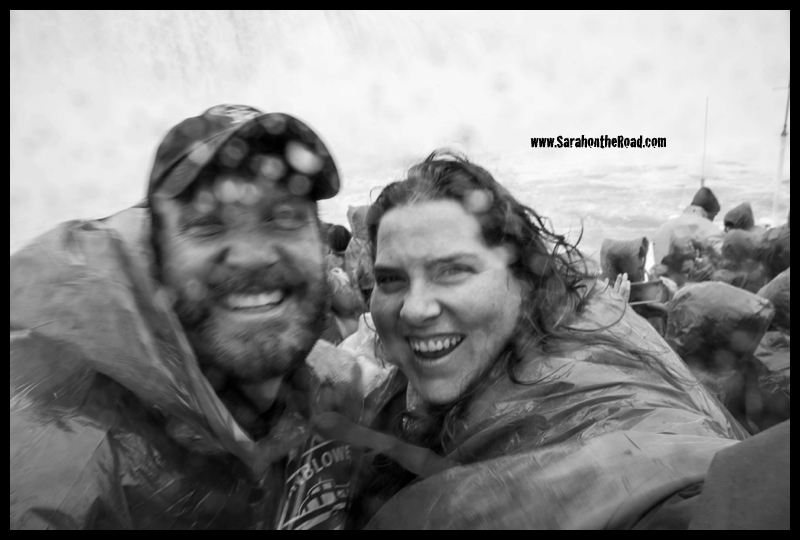 I look forward to getting to know everyone a bit better on our next 4 hikes together for this challenge and beyond. 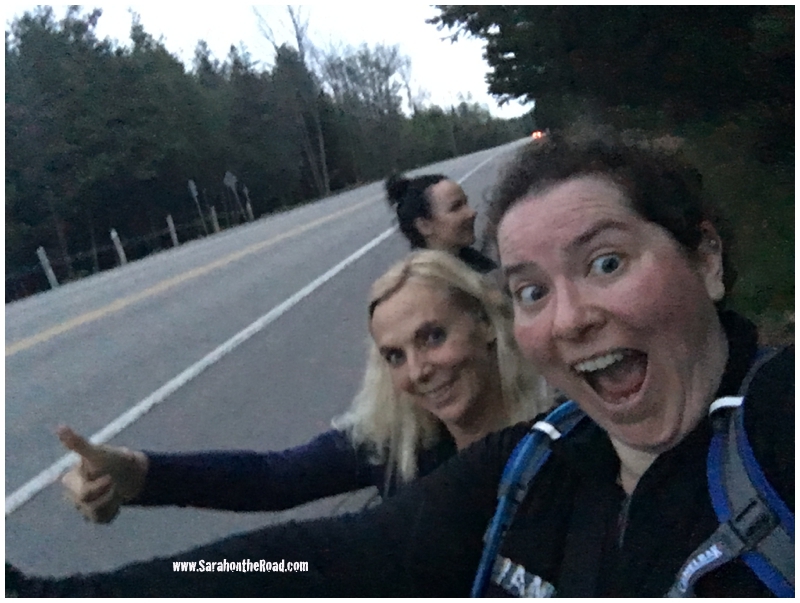 It was really nice as soon as I got to the starting point and jumped out of my car…there was a “Hi Sarah, good to see you…been a long time!” I realized it really is nice to belong in a group and it had been too long of a time since I’ve hiked with the group. 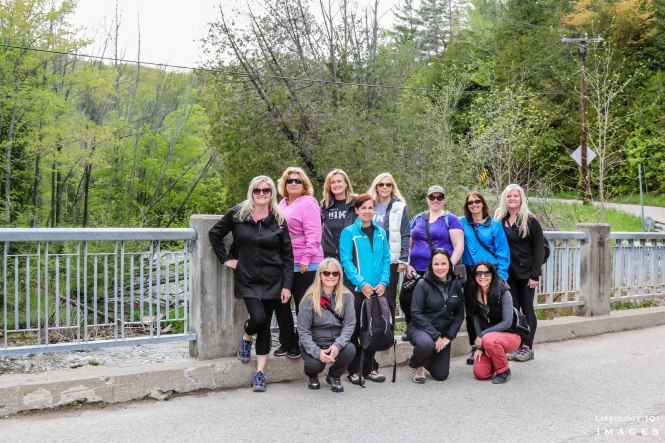 Near the end of the hike… the group was faced with more stairs!!! But to be honest…it was worth the effort to see the Hoffman Lime Kiln. 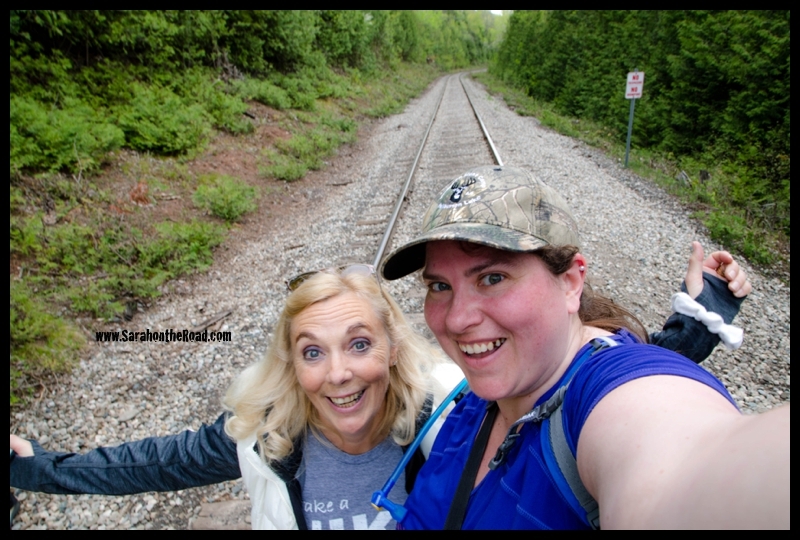 A break between the stair-master-climbing-session…was a photo op on the railroad tracks! 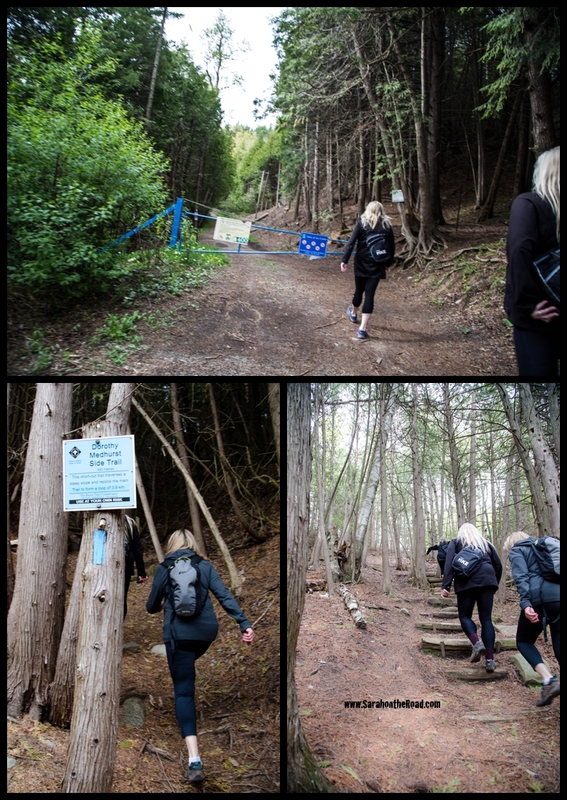 Then more climbing…but one awesome thing hiking on the Bruce Trails is how marked the paths are, and often had wooden stairs and sometimes rope hand rails to help make it so much easier to get up and down the hills! Below you can see the remnant of the chimney on the left and the ring kiln on the right. 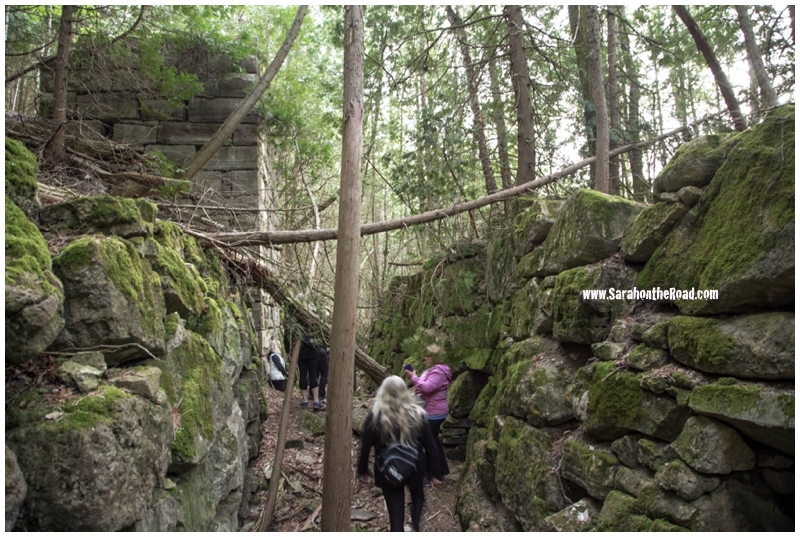 ” How did the Lime Kiln work? 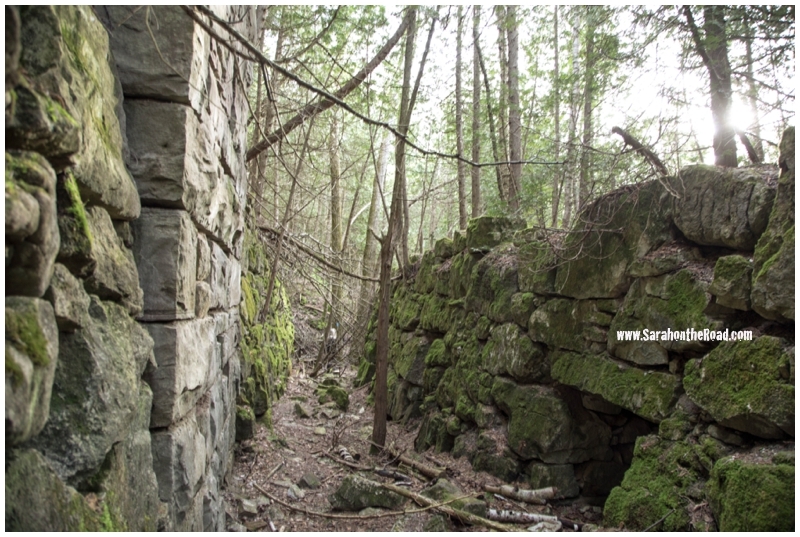 Blocks of dolostone (a type of limestone) were loaded into the kiln through the large openings, called wickets, around the outside of the kiln. The internal ring was divided into 12 burning chambers that operated 24 hours a day, 7 days a week and the temperature inside each chamber could be individually regulated. Each chamber within the kiln was at a different stage in the processing of the limestone. One chamber could be loaded with fresh limestone while another chamber could be emptied of the lumps of lime ready for sale. 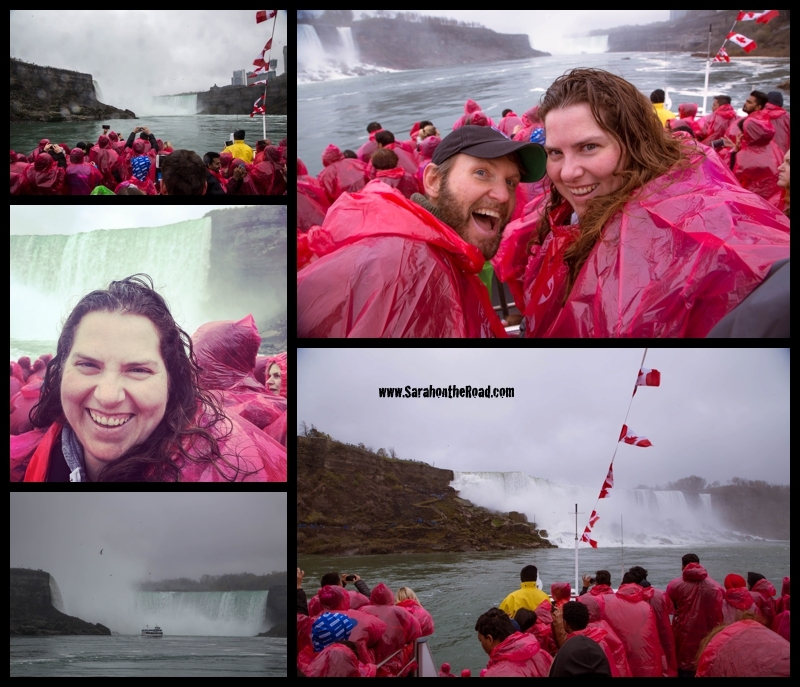 The look of pure happiness to have come down 1/2 the stairs…but so happy to have explored a cool site! This was a really cool house, that was converted school house from 1884 into a home…and there had been an addition that happened in 2015 but they matched the brick perfectly. Seeing bits of history like this restored and repurposed always makes my heart smile. It was a fabulous evening hike that took about 2 1/2 hours. 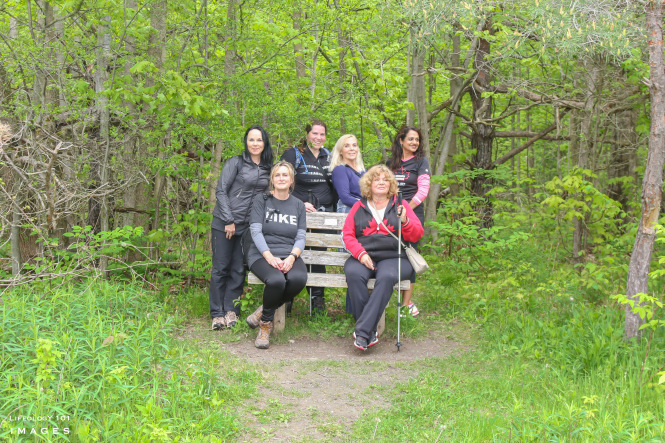 Thanks so much Mira for organzing these hikes with the “Take a Hike” group…and to the Caledon Hills Bruce Trail Club for making a fun hiking challenge for Canada’s 150 Birthday! 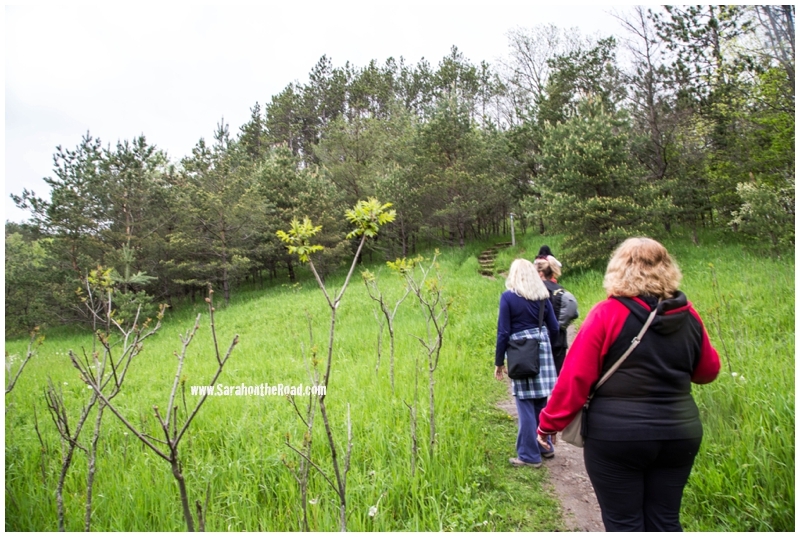 Mira also blogged some photos from the hike on her Lifeology 101 Blog check it out here! 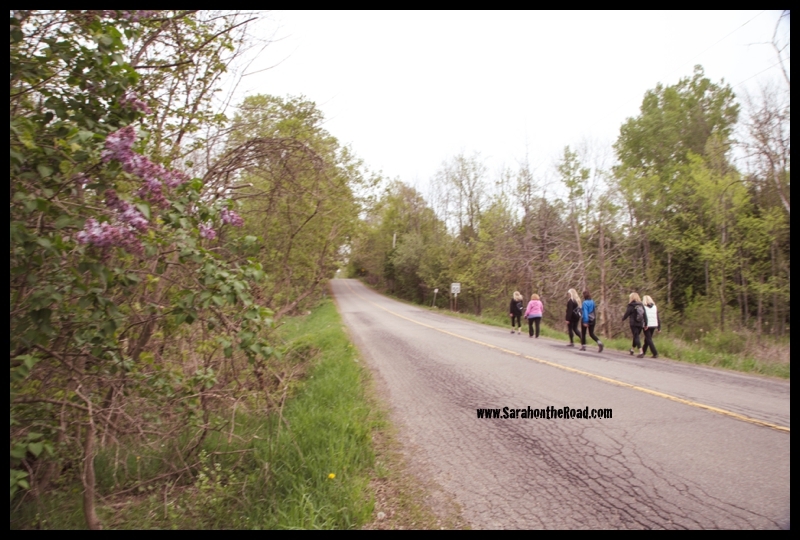 This entry was posted in Life in Ontario, Walk in the 'hood on May 20, 2017 by Sarah on the Road. 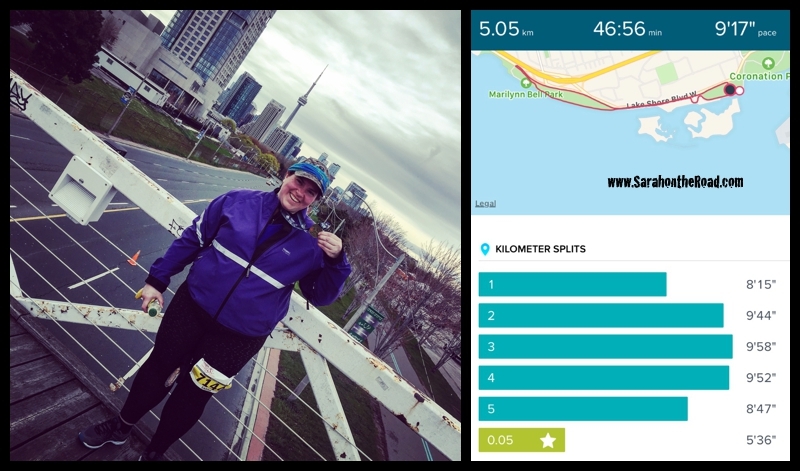 Friday night I drove into Toronto to pick up my 5km race bib/shirt as well as Keenan’s for the marathon. 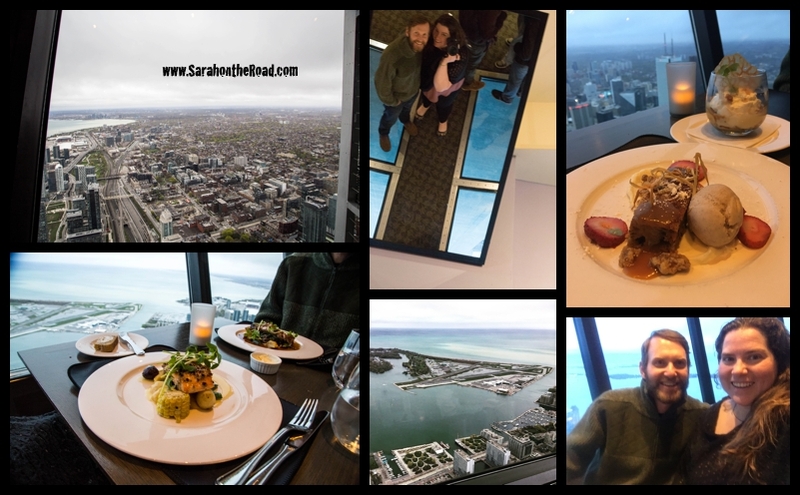 The reason being…we had a bunch of fun and adventure piled into Saturday and I didn’t want to add picking up race kits to that adventure! 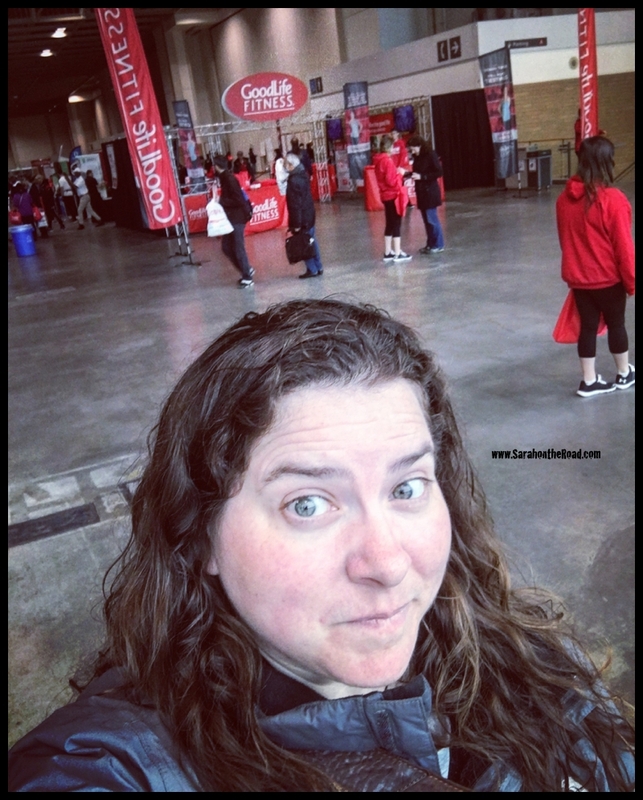 I finished.. with an ‘ok’ time… must admit did more walking intervals than running. 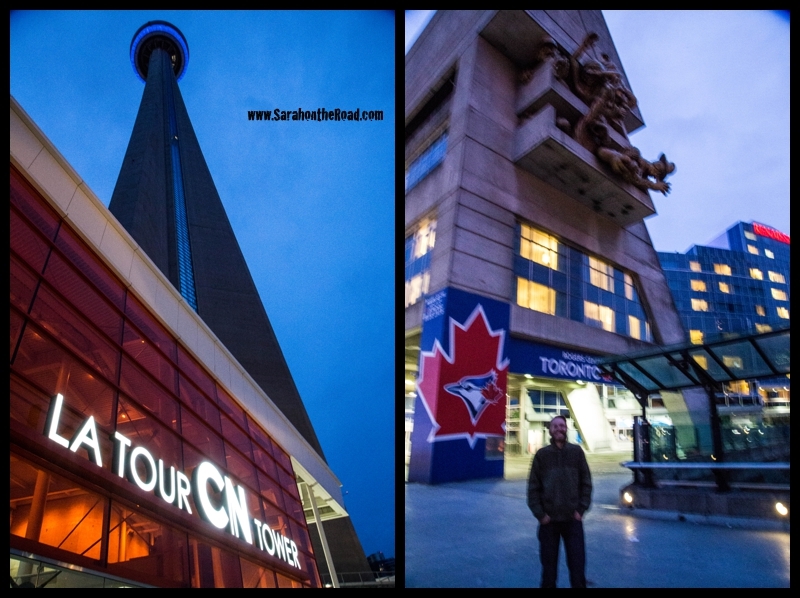 But it was cold and I was going on little sleep… so was pretty excited that I finished this thing! Was able to catch Keenan about 1/2 way through the marathon… the last leg was along the lake…he had a horrible head wind that he was running into! Keenan finished marathon #89…you can read about his run here. 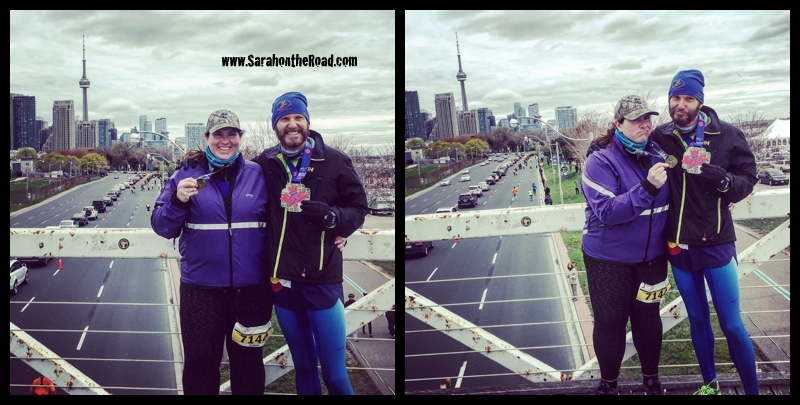 After he crossed the finish line we posed for a photo with the Toronto Skyline behind us… I must admit I had a bit of medal envy. I guess I hadn’t really looked at the different medals for races in the same event before…but seriously can you see the SIZE of that marathon medal? Makes me want to get one of those… some day I’ll do a marathon…but probably not tomorrow. It was awesome to run a race in the same event as you Keenan as your running and marathon streak of over 3 years… has been pretty inspiring and has made me want to join that club! 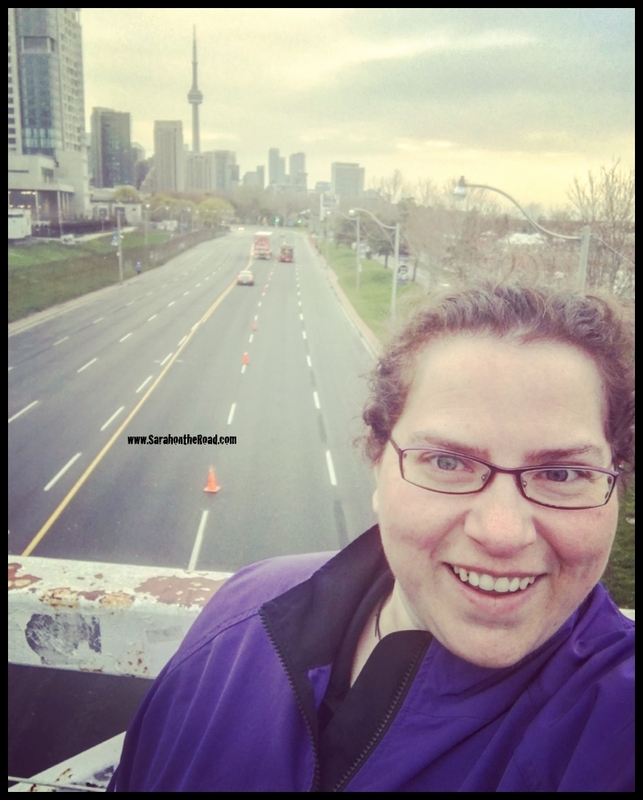 This entry was posted in Life in Ontario, Running 101 on May 8, 2017 by Sarah on the Road.